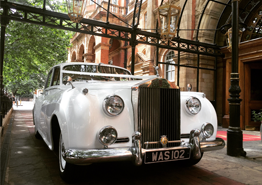 We have been offering wedding car hire to clients throughout Finchley and the surrounding areas for a number of years. 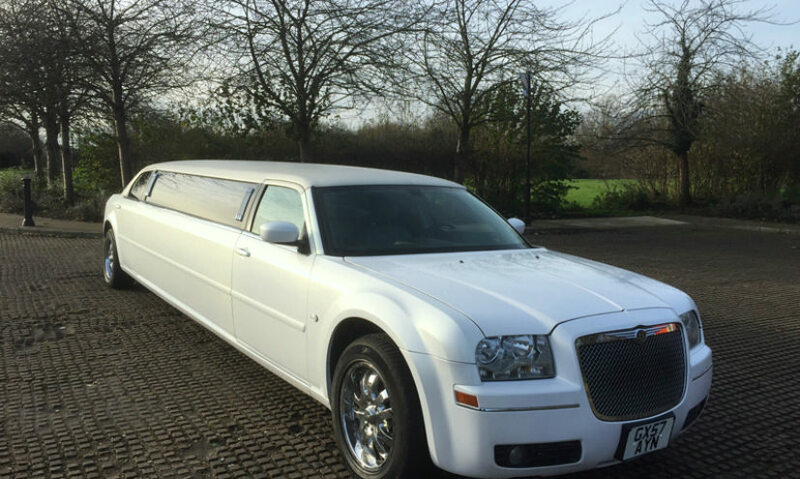 At A.T. Beauford we have one of the best selection of wedding cars available in the Finchley area, including everything from limousines to traditional wedding cars. 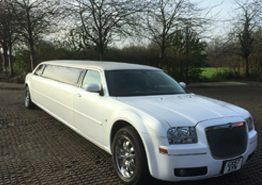 The team at A.T. Beauford pride ourselves on the quality of cars we offer, our chauffeur drivers and the all around high standard of service we offer. Over the years we have developed a highly sought after hiring service in the Finchley area. When it comes to needing a vehicle for you wedding day, at A.T. Beauford we have some of the most sought after and desirable wedding vehicles. All our cars used for our wedding hire service are driven by our highly trained, professional and courteous chauffeur drivers, so you know you’re in good hands. The wedding cars we offer are the perfect solution for travel to and from your big day for any bride and groom. 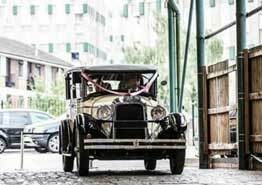 With our wedding cars you can arrive to your special day in comfort and style. 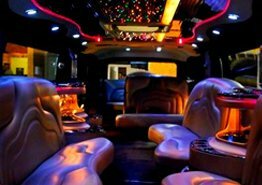 After years of service we have developed a reputable and highly popular wedding car service in and around the Finchley area. Over our many years of service we have offer wedding cars to hundreds of couples to help make their wedding day as special as it can be. Whether you’re looking for wedding travel that’s relaxing or you’re wanting to arrive at your wedding in style then our wedding cars are provide the perfect solution. 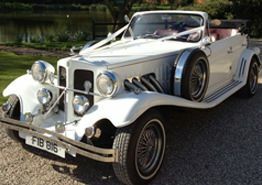 When you choose A.T. Beauford for our car hire service our drivers will ensure you have enough time to enjoy all the great benefits your car of choice offers; whether that be a drive around the local area or use as a wedding photo location then we’re more than happy to help. When it comes to your big day if you’re looking for cars that offer simplicity or something to showcase you in then A.T. Beauford will offer you an unbeatable wedding service. From classic wedding cars to a more modern style, at A.T. Beauford you’ll find a great choice to choose from. 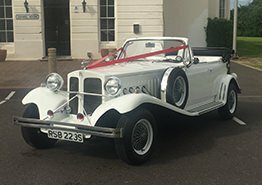 Offering vehicles such as the traditional Beauford or arrive in one of our stylish Limousines, no matter what option you go for you’re guaranteed to arrive in a luxurious and impressive wedding car. We ensure all our cars undergo a deep and thorough clean before use combining that with our professional wedding chauffeur drivers, we have developed an unrivalled service. 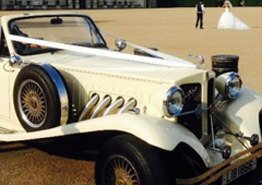 A.T. Beauford are known throughout the Finchley area for our fleet of quality wedding cars. At A.T. Beauford it is our passion to assist in making your day as unforgettable as it can be through our fleet of wedding cars. 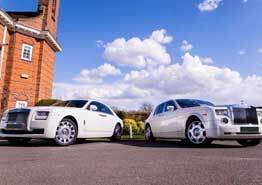 We offer a fine selection of wedding cars, which are unrivalled in the Finchley area. All of our cars have gorgeous luxury interiors and undeniable high quality exterior finishes; making them great to snap some wedding photos. You’ll be in the safe hands of our highly trained and professional chauffeur drivers when you choose us for our wedding car hire. A.T. Beauford pride ourselves on the high quality service we offer and it’s our passion to make your wedding day an unforgettable experience. When it comes to wedding cars, at A.T. Beauford we are more than happy to arrange an appointment for you to come and see our range of cars, so you’ll be able to inspect our fleet to make it easier to choose the car of your dreams. We have many happy customers which can be seen in our testimonial section, some of which are from the Finchley area. Give us a call one 020 8368 5225 and one of our friendly staff will be more than happy to arrange an appointment to view the cars or to take a booking for our wedding car hire.